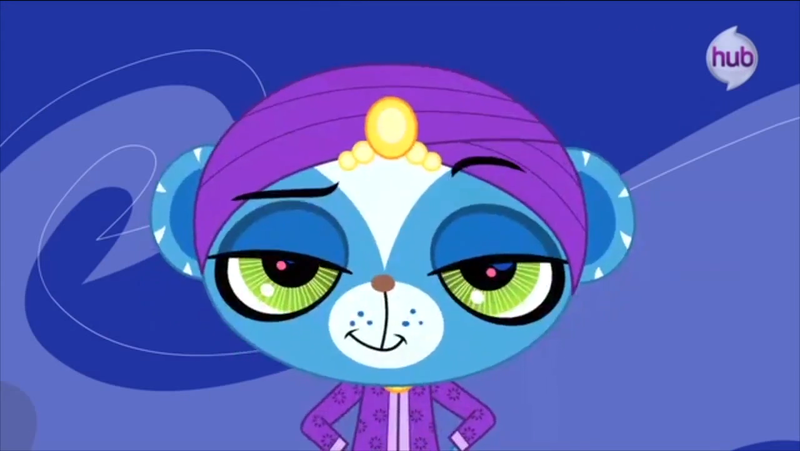 Finally we get to meet this Shahrukh (pronounced "shuh-RUːK") as he gives us a little number about how glamorous yet rough life can be for a movie star mongoose. It's not embedding yet, so click here to check it out! *music starts* *Shahruhk starts belly dancing and singing* OH MY GOSH THIS IS GOING TO BE THE BEST EPISODE. Also, I'm getting huge King Julien vibes from Shahrukh. Is that just me? I heard the song, I'm so watching this ep. I'd almost rank it better than Keep calm and Flutter on. ALMOST. Reminds me of two songs from Phineas and Ferb: Rubber Bands, Rubber Balls, and Baliwood. Alright, I'm calling it right now, Danny Jacobs is the voice of Shahrukh. Liked the song, jury's still out on Shahrukh. Can't wait to see the whole episode! So, are the writers familiar with Bollywood musicals by any chance?